MultiBrief: How do you become an expert in a new destination? How do you become an expert in a new destination? The biggest differences between online booking engines and professional travel consultants are our service, knowledge and expertise. So, how do you become an expert in a new destination? Reading one travel guide or making one visit does not make you a master, in my opinion. I participated in a FAM some years ago with tour operators who touted their expertise in a region with which I was unfamiliar but eager to learn more. The misinformation they gave me was so rampant that I began to doubt they had ever been to that destination, let alone were an expert in it. Do as much reading as possible. Subscribe to all print and e-zines related to that region, both consumer and trade. Spend quality time on the official tourism website (which it likely has). Get inspired by the possibilities that region offers and the kinds of clients who might be attracted by it. Start listing the most intriguing towns/sights/experiences this region offers so if a FAM comes along, you will be able to assess whether that itinerary meshes with what you're most interested in. No sense in going to a Venice FAM if you're most interested in Sicily. Participate in the numerous webinars offered by niche vendors and by the tourism boards for more ideas to pursue. Check out your consortium's preferred vendors for that destination and use their expertise to further enlighten you through their websites, webinars and e-newsletter subscriptions by their business development manager. Narrow down the list of vendors with whom you'd like to partner in this new region and let them know you're keen on expanding your destination repertoire. Ask them to notify you of available FAMs. Do not waste time or money (yours or the vendors') participating in FAMs for regions you have no desire to sell nor vendors you have no desire to use. That's abusive, in my opinion. Stay focused on developing expertise in the destination and the right partners to help you create mesmerizing itineraries for that area. Participate in a well-chosen FAM that covers your must-see/must-do list offered by a vendor you're truly intent on using. You'll get double benefits by getting expert guides in the region to help you learn more, faster — and also get to experience firsthand the service offered by this prospective travel partner. One FAM isn't enough. Schedule independent FAMs to this region to further explore and investigate various hotels, logistics, restaurants, shops — all those details that your clients will need and appreciate. For example, I have tried every mode of travel throughout Italy — self-drive, trains, private chauffeur, bus, escorted tour — so I know from personal experience which mode works best for which region in Italy. That gives me the confidence to tell a client, "No, you do not want to drive yourself in that area because I've done it, and it's a nightmare; let me book you a private transfer." During your numerous independent visits to this region, be sure to preschedule site visits to various hotels that interest you. You will quickly learn which are more delightful in person than in the brochure, and which don't measure up to the glowing, professionally written review. It's all in the details. How much time do you need to feel expert in a new destination? More than the number of hours or visits, it's the effort you expend. 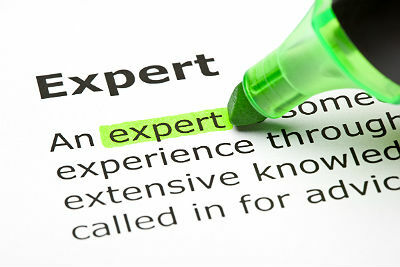 Yes, becoming an expert requires a huge commitment of time, energy and money. But the expertise you accrue is something that no client can get from an online booking engine.